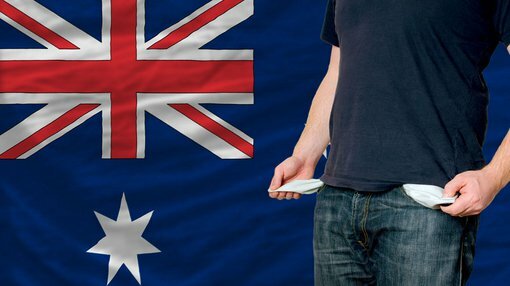 Australia may soon lose its coveted AAA sovereign credit rating following Standard & Poor’s decision to downgrade the nation’s long-term outlook from stable to negative, due to foreign debt liabilities reaching alarming levels. This is what happens when you don’t pay your bills, as the Australia’s foreign debt rose from $970 billion to $1.045 trillion over the 12 months to June. However S&P wasn’t the only body to point out Australia’s growing debt concerns. 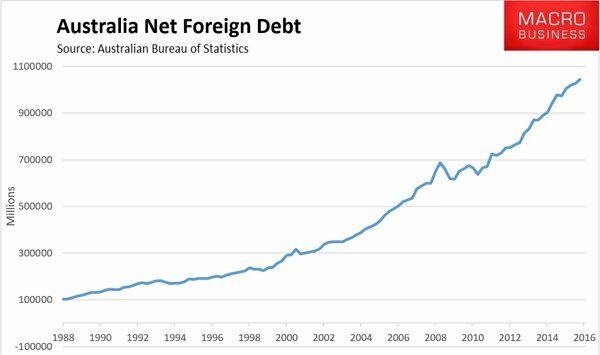 The International Monetary Fund singled out Australia for its rapidly increasing debt, at a time when global debt levels have reached US$152 trillion. Treasurer Scott Morrison tried to instil confidence noting that two other ratings agencies has affirmed Australia’s AAA rating. The last time Australia lost its AAA rating was in September 1986, when both Moody’s and S&P downgraded to AA1. The rating fell again in August 1989 to AA2, before regaining its AA rating many years later in August 2002. It should be noted however, that ratings given by these US run agencies have become politically motivated in recent years and used as financial weapons against China, Russia and European nations, to name a few. The agencies have been accused of misleading the public as noted when they covered up for the big banks prior to the 2008 crash, when ratings agencies S&P’s, Moody’s and Fitch maintained an A+ rating on toxic mortgage-backed securities being sold by the banks. This latest warning from S&P comes at a time when German banking giant Deutsche Bank faces bankruptcy following Angela Merkel’s decision to not bailout the struggling bank and as the US Department of Justice seeks to fine Deutsche US$14 billion for fraudulent activities prior to the 2008 financial crisis. Many top analysts believing that should Deutsche Bank go under it would make the Lehmann Brothers collapse look like a picnic. What impact would that have on Australia? Coupled with our report on how we are potentially facing an unavoidable recession due to the alarming debt levels in the private sector as well, following 100 quarters of growth, the latest warning from S&P begs the question whether Australia has lived beyond its means and has bitten off more than it can chew.